Are you looking for a security system that you can keep in touch with no matter where you are in the world? Then try security web cameras or a full IP video security camera system. Security Web cameras use the Internet as the vehicle for networking the camera(s) and the system as a whole if need be. In fact “IP” is an abbreviation for Internet Protocol ready. 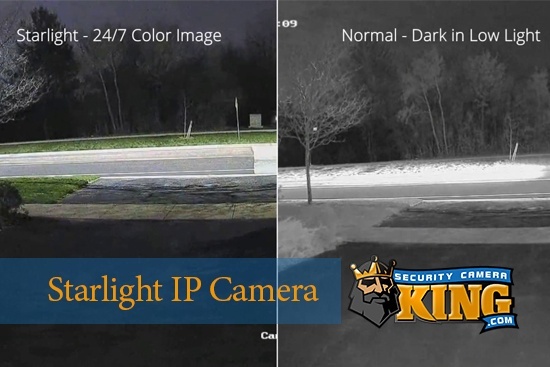 Security web cameras are an IP ready camera; that is, they can connect directly to the Internet using a wireless broad band connection. Before we say anymore about security web cameras, let’s back up a bit and talk about a basic digital video security camera and system. A basic non security web camera has two “external” type connections. The first is a pair of thin wires carrying low voltage DC (Direct Current) electricity from a power distribution box or a nearby plug-in transformer. This low voltage is used to power all of the functions of the camera, including transmitting signals, Pan-Tilt-Zoom functions, moving lenses, powering motion detectors, and any other functions if needed. The second connection is a bit more conspicuous. This connection is the video transmission cable that carries the captured video image data from the digital video camera to the Digital Video Recorder or DVR. This is usually RG-59 coaxial cable and each camera must have this cable run from the camera to the DVR unit. The camera records video (often referred to as “capturing” video) by focusing the field of view in front of the camera on a very small electronic sensor chip. There are two different sensor chips available but only one is required per camera. These sensor chips are either a Charged Coupled Device (CCD) or a Complimentary Metal Oxide Semiconductor (CMOS). Each works a little differently than the other, but both accomplish the same result; light energy is transferred to electrical energy that can be measured and used to create a video image. The camera sends the information captured by the sensor chip to the DVR unit which also has a specialized built-in computer processor called a Digital Signal Processor or DSP. The DSP compiles the data and uses a special utility called a COmpression/DECompression or CODEC to make the digital video file smaller in size while maintaining a high quality image. Security Web cameras capture video using the same process as described above. The difference lies in how the camera handles the electronic data, both in compiling it and transmitting it. First, Security Web cameras do not use a coaxial video transmission cable. They have their own built in web server technology as well as a transmitter and antenna. Since security Web cameras send their video data over the Internet, the data is usually processed and packaged by the camera. The camera processes the data into a file that is both Internet compatible and compact. Once the file is processed it is sent to a broadband connection via Ethernet cable or wirelessly. The wireless broadband connection is usually a wireless modem or router. Once the wireless modem or router receives the signal from the camera it sends the data over the Internet. 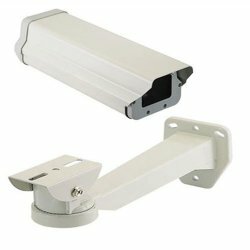 Most security Web camera manufacturers make monitoring and controlling the cameras a breeze by using a standard Web browser, although many IP wireless camera makers provide a proprietary software program that can also be installed on a computer for this purpose. The biggest advantage to this system is the ability to use the Internet as the vehicle for networking. Once a security Web camera has sent its data to the Internet, users can monitor and store files and even control the camera functions from anywhere in the world where Internet access is available. This includes 3G and 4G smartphones as well. For those who are required or desire to record the video that their security Web cameras are creating can do so as well. However, instead of using a DVR, the cameras (via the Internet) send their video footage to an NVR or Network Video Recorder. The implications of this are enormous. 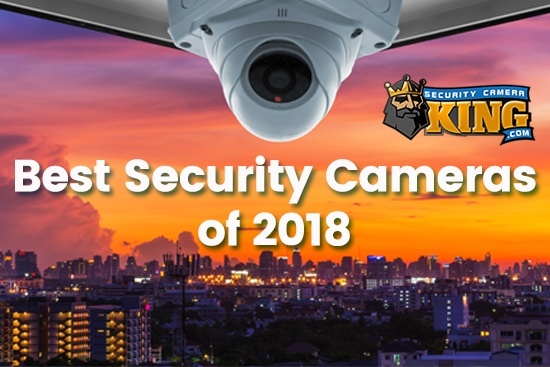 For example, a large company with offices (and cameras) in the U.S., Canada, England, Dubai, and Japan could easily network and record their security Web cameras to just one location. An NVR could be connected at any one of these places and network and record all of these cameras. 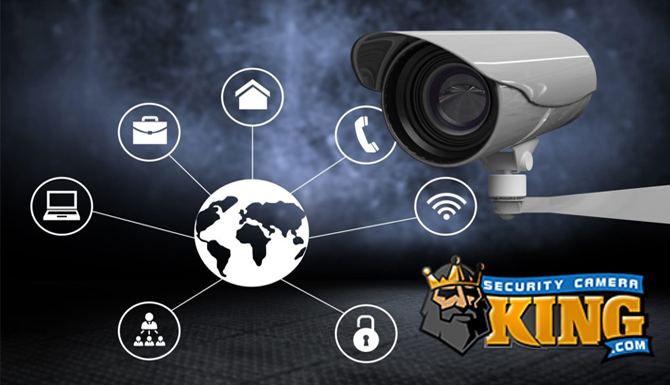 If you have any questions about a security Web camera, please don’t hesitate to contact Security Camera King’s support department.